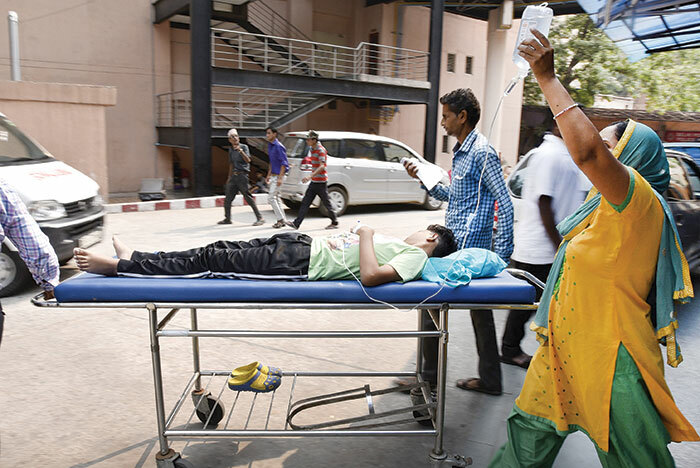 It was 9.50 am on a sultry Friday when a 42-year-old lean man with droopy eyes waited for his turn along with 150-odd patients outside Safdarjung hospital’s fever clinic, as his body temperature zoomed to 104 degrees. Madhuvan Kumar came to Delhi from Uttar Pradesh’s Ballia district to get treated for liver damage, but is now down with a bout of chikungunya. As Kumar couldn’t afford a lodging in Delhi, he and his wife Mamta have been spending their days inside the hospital premises. The national capital is battling an outbreak of viral fever, chikungunya and dengue. Till September 26, there have been 3,695 chikungunya cases. 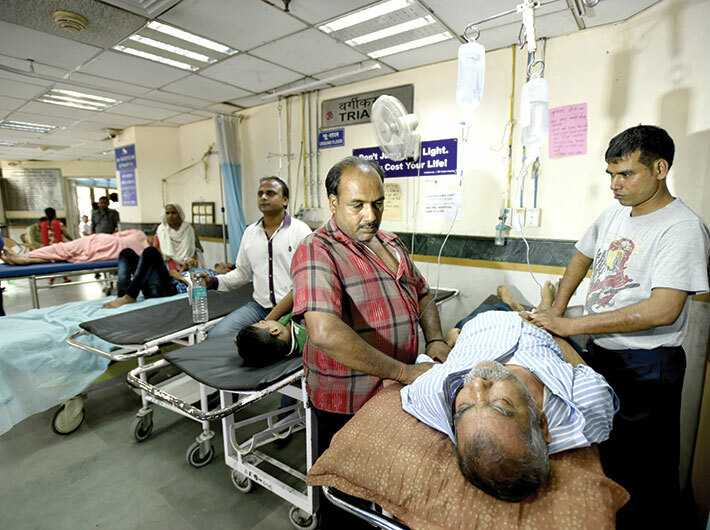 Hospitals across Delhi have reported 15 deaths, with Sir Ganga Ram hospital alone reporting seven deaths. But the municipal corporations maintain that no deaths have taken place due to chikungunya. Nearly 1, 692 cases and 20 deaths due to dengue have been reported in the national capital so far this year, which is the worst hit after Karnataka with 9,427 cases. More worrisome is a yet-to-be tabled comptroller and auditor general (CAG) report that says Delhi has been under-reporting the numbers. According to a report in the Times of India, the report says hospitals reported 409 dengue deaths during 2013-15, Delhi’s ‘death review committee’ confirmed only 60 of them. As for chikungunya, according to National Vector Borne Disease Control Programme (NVBDCP), nearly 120 cases were reported in 2010 which went down to 110 in 2011. The situation improved a little in 2012 that recorded only six cases, followed by 18 cases in 2013, and a further dip to eight by 2014. In 2015, the number rose to 64. The unusual number of people falling prey to fever has led to a blame game in Delhi, which in any case suffers from multiplicity of authorities. “Coordination is a complex issue. Since chikungunya is a vector-borne disease, it needs to be eradicated by stopping the breeding of mosquitoes by using control measures that require participation of the government departments,” Dr Dhariwal added. According to a report by Praja Foundation on civic services provided by the municipal corporations of Delhi, it was noted that while 2,282 complaints about mosquito nuisance and fogging were raised by Rohini zone in 2015, not a single Delhi MLA raised the issue. 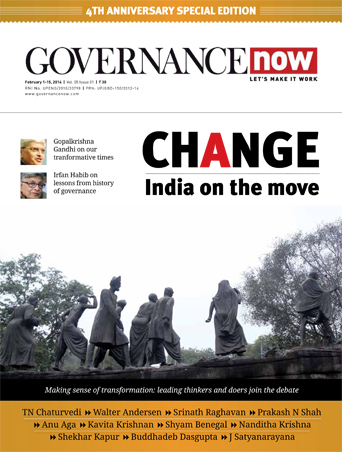 “This shows the level of governance in the capital,” says a member of Praja Foundation. However, an alarming dengue outbreak last year forced authorities to be pro-active this year, and an exhaustive meeting of central, state and municipal authorities was conducted in January 2016. The central ministries and state/civic departments concerned were assigned tasks to chart a mosquito control plan. At the centre, a group of ministries are involved in carrying out control measures for vector-borne diseases. “We [health ministry] give directions for vector-borne diseases’ control and awareness. We have been conducting meetings since January and have been directing the state government to use control measures. But, somewhere, lack of multi-sector coordination between agencies like central public works department (CPWD) and municipal corporations led to so many cases,” says director general of health services Jagdish Prasad. The rural development ministry has been tasked to hold meetings with panchayats to ensure community participation and ensure proper water supply in households to avoid storage of water which leads to mosquito breeding. The urban development ministry is tasked with providing funds to civic bodies and reviewing civic bylaws. While the drinking water and sanitation ministry is responsible to carry out overall sanitation, cleaning of drains and providing adequate water supply, the transport ministry is expected to guard against stacking up of tyres – a major source of breeding in recent years. “Most of the breeding has been found in stacked tyres, plastic bottles, stored water and construction sites. The situation can be avoided provided there is coordination between the departments concerned,” adds Dr Dhariwal. In the fever clinic of Delhi’s Lok Nayak Jai Prakash hospital, 20-year-old Minal leaned on her brother Asif’s shoulders. Minal was down with high fever, had vomiting bouts and suffered severe joint pain. When she cried out of pain, Minal’s brother laid her on a bed that she shared with 55-year-old Meghmala. “We have been trying to get her a bed, but we were told that we first need to get a registration slip made. They will treat her when her turn comes. My sister is in a critical condition. We were not given a stretcher to bring her here. She’s fainting. The staff is inhumane and averse to our needs,” said a distraught Asif. Delhi health minister Satyendar Jain has announced that there will be extra 1,000 beds for dengue and chikungunya patients at government-run hospitals in Delhi. After meeting union health minister JP Nadda, Jain said, “The centre will reserve 10 percent beds at all its hospitals in the national capital for dengue and chikungunya patients.” Despite the promise, the situation on the ground suggests a failure in providing necessary health needs by the government hospitals and clinics. One of the first places that fever patients visit is the mohalla clinic – Delhi government’s new initiative. 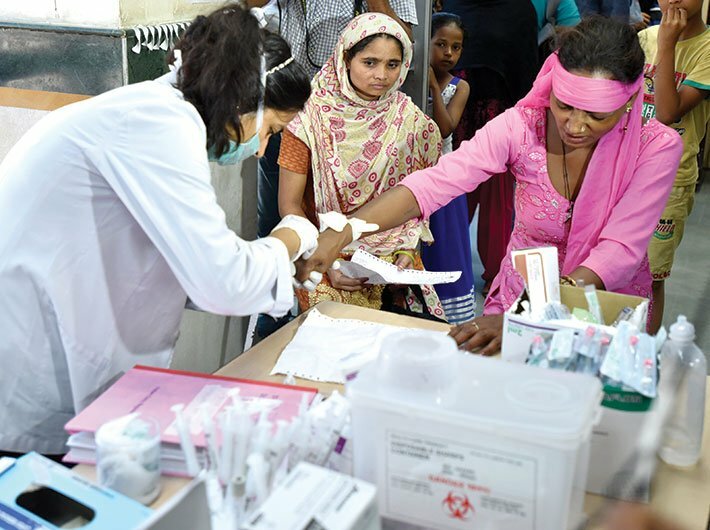 The mohalla clinics see nearly 500 patients every day. Like Gudiya, most of the patients prefer hospitals over mohalla clinics and polyclinics. Not just mohalla clinics, it appears that the South Delhi municipal corporation’s (SDMC’s) much-hyped mobile clinics are merely an eyewash. In September first week, it had flagged off 12 mobile fever clinic vans across all four zones to provide free medicines and tests. The reality, however, is a matter of concern. Owing to an acute shortage of doctors, these mobile vans work only from 9 am to 12 pm, according to senior officials of the corporation. These vans are usually stationed in slum areas where the medicines and tests are provided for free, but the corporation has admitted that they are in a fix as more patients want the evening hours. Then there is the issue of fogging, or rather the lack of it. The civic bodies should have taken up this crucial activity in time with the monsoons. But it appears they waited for people to fall prey to chikungunya before getting down to action and start fogging operations all over the city. According to official reports from the three municipal corporations, they began fogging post monsoon showers in mid-August. What comes as a shock is that the municipal agencies carried out fumigation only after chikungunya cases started mounting. The breeding of Aedes aegypti mosquitoes begins with the onset of the monsoon. According to officials, the municipal corporations do not have a regular fogging programme and it is done only after the number of cases reach a certain level. Ironically, more than 100 cases of dengue and chikungunya were reported from hospital staff living and working within the premises of the All India Institute of Medical Sciences (AIIMS). While hospitals are considered safe, ironically, Safdarjung hospital, one of Delhi’s biggest hospitals, has been challaned by the New Delhi municipal council (NDMC) for mosquito breeding. At a time when chikungunya is at its peak in the national capital, concerned authorities and individuals, required to take necessary action, are busy playing the blame game. Union health minister Nadda blamed the Delhi government and said it failed to carry out the preventive measures. Delhi health minister Jain countered the centre’s allegations and said: “Dilli aaj Modi bharose ya LG bharose hai” (Delhi today is dependent either on Modi or LG). To make matters worse, Delhi ministers and BJP leaders were nowhere to be seen in the capital when the first death from chikungunya took place in Sir Ganga Ram hospital. Lt Governor Najeeb Jung was in the US on a personal trip, chief minister Arvind Kejriwal was in Bengaluru for treatment and health minister Jain was in Goa for the party’s campaign. Deputy chief minister Manish Sisodia was in Finland for an official trip whereas labour minister Gopal Rai was in Chhattisgarh for party work and environment minister Imran Hussain was away on Haj. Also, North Delhi municipal corporation mayor Dr Sanjeev Nayyar was in the Netherlands to attend the Global Parliament for Mayors. The BJP accused Kejriwal of “abandoning” the people of Delhi and fleeing to Bengaluru. 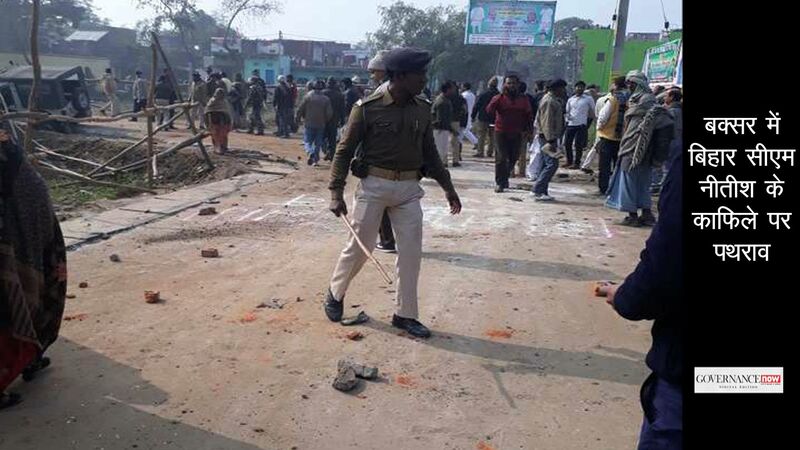 Madhuvan Kumar, meanwhile, hopes to get back on feet and return to Ballia to his work soon. Many in Delhi are suffering from high fever, joint pain, rashes and bouts of vomiting. They have chikungunya-like symptoms but the diagnostic tests results are usually negative. Many experts have questioned the reliability of the tests and said that they don’t always yield correct results. According to microbiologists, there are serological tests, such as enzyme-linked immunosorbent assays (ELISA) that confirm the presence of IgM and IgG anti-chikungunya antibodies. “IgM antibody levels are highest during three to five weeks after the onset of illness and persist for about two months. Samples collected during the first week after the onset of symptoms should be tested by both serological and virological methods (RT-PCR),” said a microbiologist at AIIMS. Devang Doshi, a Gujarat-based pathologist, argued, “The commonly used rapid tests which are IgM by ICT [immunochromatographic test] method detect the antibodies produced by the body, but they are not as sensitive to chikungunya as they are to dengue. Also, they do not always produce the correct results.” Moreover, the union health ministry is mulling over validating the accuracy of these rapid test methods. “We are checking how accurate these tests actually are as majority of the patients opt for them,” said Dr Jadgish Prasad, director general health services. “The results of these rapid tests are actually inconclusive. It cannot detect the wrong results,” said Dr AC Dhariwal, director of National Vector Borne Diseases Programme. Microbiologists feel that more affordable and accurate tests are the need of the hour as the poor are most vulnerable to chikungunya. “During chikungunya, the virus may be isolated from the blood during the first few days of infection. Various RT-PCR [reverse transcriptase–polymerase chain reaction] methods are available but are of variable sensitivity. It is a time consuming process, but it is more accurate,” said Dr C Wattal, microbiologist at Sir Ganga Ram hospital. On the other hand, ELISA tests have a higher degree of reliability and sensibility and also detect anti-bodies. “The accuracy of an Igm-ELISA test is around 80-85 percent. The test detects and measures antibodies in your blood and can be used to determine if you have antibodies related to certain infectious conditions. The tests are considered much more accurate compared to other methods, but they are hardly available in India,” said Bibek Seem, a lab technician. Over the past years, most of the doctors have been relying on symptomatic treatment. “These vector-borne diseases are mostly diagnosed by checking the symptoms like fever, joint pain and providing treatment accordingly. The antibodies are detected only after a minimum of five-seven days,” said Dr KC Trikha, a physician. Experts say that apart from rapid tests and ELISA tests, the chikungunya virus reverse transcriptase (RT)-PCR assay is appropriate in the early days of symptom onset, since chikungunya virus RNA can be detected during the acute phase of illness (within four-five days of symptom onset). This test is not appropriate later on, as viral DNA is usually undetectable after one week. According to a professor in Delhi University’s microbiology department, while the test results are quite appropriate, the PCR tests take a longer period for detection. Doctors claim that most patients are still opting for the early detection rapid method since it is pocket friendly and the results are available in less than 30 minutes, and the test is more commonly available, although it is not very accurate. The PCR tests, however, are still a costly affair in India.